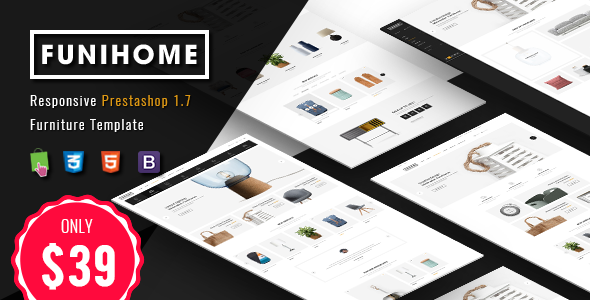 FuniHome is one of the Best Multipurpose PrestaShop 1.7.5.0 Responsive Themes, which enables you to create a fully-functional, fresh and modern website for your furniture store, interior store. FuniHome comes with a great user experience and usability eCommerce features included and Home Slider supported. Furthermore, FuniHome supports for multilingual and RTL languages. It can be used for worldwide users with the amazing loading speed, SEO optimization and a lot of powerful features.